Matthews retired last year from her long tenure at Colby College. 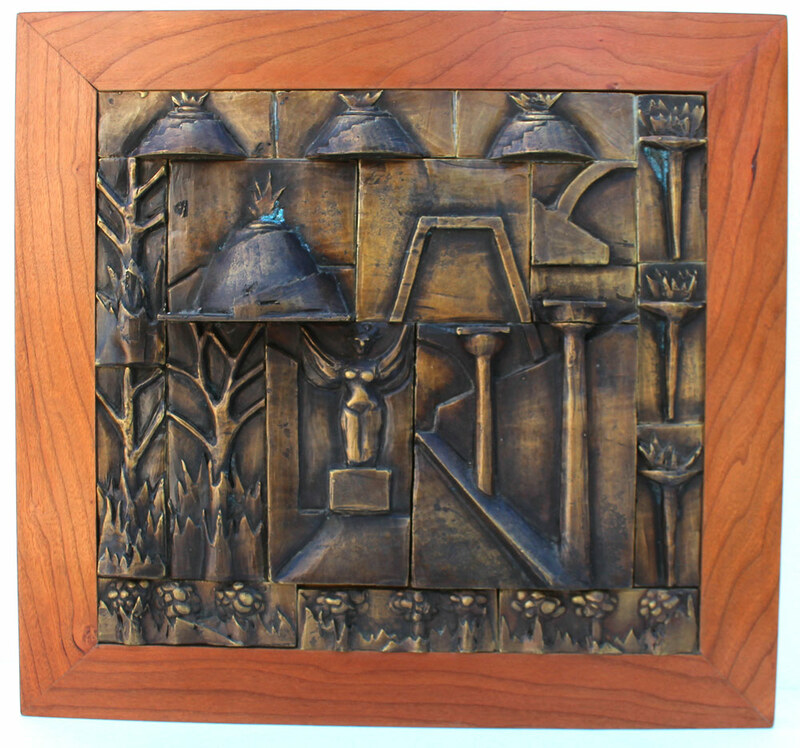 She’d started there in 1966, founding the school’s sculpture program. In the course of her career as an artist and professor she has made many trips, including a couple of year-long sabbaticals, to the eastern Mediterranean, most often to Greece. 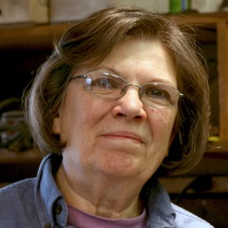 Her fascination with Greek and Byzantine art, and with the Greek landscape, began while she was a graduate student at the University of Georgia, studying under Byzantine scholar Ljubica Popovich. Matthews has had solo shows at Bates College, the University of Southern Maine, the Portland Museum of Art, the June Fitzpatrick Gallery in Portland, the University of Georgia, and the Colby College Museum of Art. Harriett Matthews received her formal training at the University of Georgia, where she received her BFA and MFA degrees. She studied with the sculptor Leonard deLonga and art history with the Byzantinist, Ljubica Popovich. Matthews’ first teaching position, after completing the MFA, was at the University of Oklahoma, where she was a sabbatical replacement in sculpture. At the end of the year she moved to Amherst, Massachusetts where she worked in the University’s music library. The following year she began her teaching career at Colby College in Waterville, Maine, where she started and developed the sculpture program. Matthews began traveling to Europe for the first time with a small travel grant from Colby. Her studies in Classical Greek art history and Byzantine art history stimulated her desire to travel and to experience the works she had studied under Professor Popovich. This first trip became the catalyst for many subsequent travel experiences. Matthews visited New Zealand in order to see the Maori carvings in the meetings houses on the North Island, the Yucatan to photograph Mayan sites, and spent time in Italy to draw from the landscape and to experience Etruscan art. Athens, Greece, has become the center for her work and further travels. Before settling in Athens for the summers, she stayed on the island of Samos for several summers in order to draw from the landscape. Travel to photograph specific sites or to draw from landscape has become the visual source for Matthews’s work in sculpture. The idea, whether taken from a monastery, an archaeological site, or a landscape, affords the format for formal exploration. This has become a never-ending source for exploring scale relationships between parts, the special interaction of the parts in space, and the implied weight in relation to the balance between the sections in the pieces. Working pieces to be cast in bronze provided a contrast to the process of welding and also set some fresh directions for the steel pieces. Although the two processes are antithetical to each other, each now influences the other formally.